Several couples can live in the same anemone, if it is big enough. 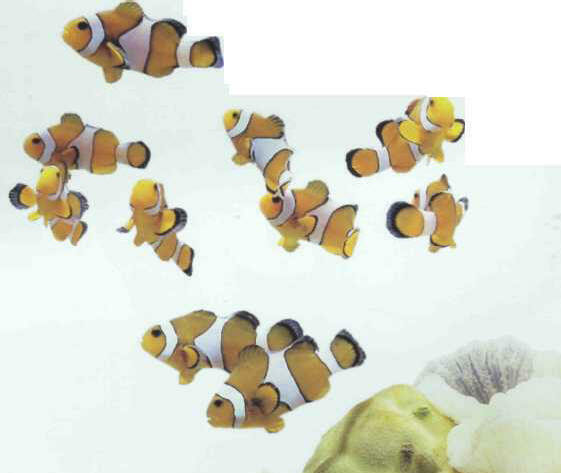 Easy to keep, the ocellaris clownfish is nevertheless fragile in its acclimatization period (1-3 months); after that, it is highly robust. It lays eggs without problems and accepts artificial food. It is sometimes confused with the true clownfish (Amphiprion percula), but its white bands are fringed with black. Size: 11 cm. БРУЦЕЛЛЫ , род мелких патогенных шаровидных или палочковидных бактерий, вызывающих бруцеллез.